Mexico has long been Canada’s go-to destination for holiday makers, and for good reason. Delicious food, friendly people, rich history, lovely beaches and stunning landscapes make this one of the most desirable travel destinations on Earth. But most people who come to this enchanting nation don’t actually get to see it. They get stuck inside their gated 5-star hotel and barely get the chance to peel themselves from the swimming pool long enough to order a hamburger and fries. This is what Mexico has become, and it’s no surprise given the amazing discounts on offer to North Americans when booking an all-inclusive holiday down south. Huge resort chains buy up all of the cheap flights from Canada to the major airports in Mexico. This makes it much harder for those who want to visit the country independently. But it is possible! In fact, you can visit Mexico for less than the cost of an all-inclusive resort, eat better, experience more culture and stay in nicer rooms. You just need to know where to look and how to do it. By visiting the country on your own steam and planning your own itinerary, you’ll not only save money, but you’ll have a much more intimate experience with Mexico and it’s people. You don’t have to worry about anything. You’ll be waited on hand and foot. You can choose your flight times to arrive early and leave late. Many resort flights have you arriving in the evening and departing in the morning, effectively robbing you of a vacation day! You can actually say you’ve been to Mexico! Clearly there are a lot of pros to travelling independently in Mexico. Once you’ve experienced this type of holiday, you’ll never want to go back to another resort. But what about the expenses? The average 7 night, all-inclusive holiday package will cost about $1,600 including food, drinks, flights and accommodation. That’s a hard bargain to beat! Lets see if we can do it. This is where you’ll spend most of your budget. It’s hard to beat those flight / accommodation packages that the resorts offer. If we’re going to beat that $1,600 price bracket, we’re going to have to get a little bit creative with your flights. Book your flights in advance: Generally about 3 months before departure is the cheapest time to book your flights. Clear your browser cache when searching for flights: Believe it or not, some flight search engines actually remember your computer. If you keep checking back on the same flight, they’ll jack the price up because they know you’ll buy if you see it going up! Sounds like fraud, but there’s an easy way to avoid it. Be sure to clear your cache when searching for your flights. Check multiple booking engines: You may have your favourite flight booking engine, but don’t be too loyal. Often FareCompare.com and Expedia.com have the best prices, but not always. 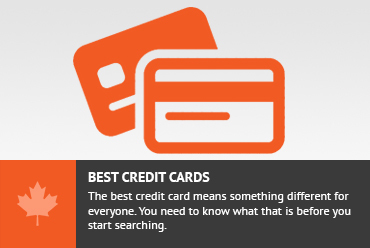 You can save hundreds of dollars by searching around. 1 Return flight to Cancun will cost about $500. You may be surprised at the great value of hotel rooms in Mexico. You can find beautiful, spanish-style double rooms for just $40 / night including breakfast. Some hotels, hostels and B&B’s include free cooking classes, salsa lessons and yoga. What a deal! Mexico’s cuisine is one of the best parts of travelling the country. In the resort, there may be a few dishes available, or perhaps one of the seven on-site restaurants serves Mexican fare, but out in the real Mexico, you’ll be able to try all sorts of delicious regional dishes. The typical meal in a restaurant will cost you about $7, while you can enjoy lunch on the street for under $2! If you don’t mind eating tasty tacos and crunchy empanadas that is! We’ll assume that you went for a hotel room with a free breakfast so you only have to buy 2 more meals / day. One of the joys of exploring Mexico outside of the resort is being able to visit different places, and not being confined behind the walls of your hotel. But transportation costs are going to add up. You’re going to want to visit ruins, discover new towns, experience festivals and all of the fun stuff that comes with travelling in Mexico. But, you’ll need to get to all of these places! Buses in Mexico are clean, spacious, air-conditioned, comfortable and reliable, but they’re not as cheap as other aspects of travel in the country. A two-hour bus ride will cost you about $10 and you’ll probably take a few of them. You’ll also want to take some taxis, but they’re relatively cheap at around $4 / ride on average. There is a lot to do in Mexico, but you may be surprised to find out that much of it is free. There are often free festivals happening in the streets. There are free museums and the parks are always free to sit and people watch. And remember, some hotels offer free entertainment as well. But you’ll want a few extra bucks to see some shows, visit ruins, go on a couple of tours and drink some margaritas. An ice-cold Corona Beer in a bar costs about $1.50, while a margarita will run you about $4. Tours are generally affordable in Mexico, usually costing around $40, depending on what you’d like to do. Entrance fees to the ancient ruins are also of good value, with most costing around $10. That’s a pretty big difference in cost, and your experiences will be better for it. But that’s not all. Why just go for one week? You’ve already spent a huge chunk of your budget on the flight to and from Mexico, so why not make the most of it? What would happen to your costs if you went for 2 weeks instead of one? Can the price still compare to one week in an all-inclusive? All we have to do is double all of the expenses, except for other than the flight. There you have it! You can travel to Mexico on an amazing 2 week vacation for far less than the cost of one week in an all-inclusive resort. The beauty of the independent trip is that the longer it goes, the better value it becomes! Your biggest expense is your flight, and you can easily live in Mexico for a month on less than $2,000. You can cut this number down significantly if you choose one town to vacation in and rent an apartment there. You’ll save money on accommodation, you’ll have little or no transportation costs, and your food costs will be much lower if you make some meals in your own kitchen. Next time you plan your trip to Mexico, consider thinking outside the box. Forget the confinement of a 5 star resort and try experiencing the real Mexico. Your wallet and your travel memories will be better for it! Nick and Dariece are the couple behind Goats On The Road, a website designed to inspire others to live a financially sustainable, location independent lifestyle. Masters at making money abroad and turning their travels into a way of life, they’ve been on the road since 2008 and have explored some of the least visited places on earth, finding adventure wherever they go. They are also full time contributors at Travel Pulse where they share their stories and expertise of travelling forever. Check them out at Goats On The Road and follow them on Twitter, Facebook and Google+. Kelli my other half noted how a trip to Mexico with her mom – doing the all inclusive deal – was much, much different than our around the world trip, trips. We’re living by a village in Savusavu, Fiji now, and in almost all spots we live with the locals. Lovely breakdown here. I recall in Legian Bali, walking outside in a local neighborhood – filled with winding little sidestreets – and in 4 minutes I found a salon. For $1.95 USD I received a haircut, a shampoo, and a 5 minute neck rub which I didn’t even ask for. Ummmm….did I mention that I included a tip in the $1.95? If I walked 35 minutes to the main strip in Seminyak I’m paying $10 or more because the area is overrun with tourists. Give me local, every time. Not just because I’m saving money, either. if I wanted to hang out with a bunch of white folks I’d stay in NJ instead of traveling the world. No sense bringing your country, or the Western World, with you on your trip. I see this happen with many Asian tours…..I think they’re enjoying the trip, but they simply brought their country with them, and rarely interact with locals. Missing out, big-time, on the travel experience, and many locals don’t really care for folks who don’t care to interact with them. Thanks for the great reply and for sharing your thoughts on the matter 🙂 Isn’t that so amazing how you can venture just off of the man tourist street and not only did you have a cool, local haircut experience, but it cost you a fraction of the price? Travel is all about meeting new people, learning about new cultures & customs and trying new foods! We’re all about having local, authentic experiences and going to a resort in Mexico just doesn’t cut it! That was a great review there. As you said, travelling by yourself is much better than all inclusive. During my last trip in South East Asia, i saw tons of peoples doing “All-inclusing travel”. What a shame. Even, if i understand sometimes that people only want to be staying on a beach in a 4-star hotel, i thought, wow, they’re missing so much of this country! I will always prefer to travel by myself, doing local stuffs, eat local food. That’s the way to travel for me too. We totally agree with you. Travelling independently, eating authentic foods and mingling with local people is the way to go! We feel as though some people miss out on so much by travelling on a tour. We’re so glad that our information about Mozambique was able to help you out. I’m happy to hear you had an amazing time! Thanks for the wonderful blog about Mexico. I really enjoyed reading about it seeing as I want to go there sometime soon. I am a Native English language teacher and want to go there for work and travel. Can you suggest any schools (or websites) that might hire me without a Degree, although I do have a Diploma and a Tesol Certificate? I am from Australia. Presently teaching in China after spending one year teaching in Vietnam. I have taught from Kindergarten level, primary school, presently teaching Middle School and have taught University students too. I love reading in general all your posts, they make very interesting reading. Thank you for your comment. Although I’m not 100% sure where you could find jobs in Mexico, Dave’s ESL Cafe has a lot of job offers from all around the world. Your best bet is to probably try there. I couldn’t agree more Nick and Dariece and you did a great job breaking down the costs. Before last year I had only ever seen Mexico via the all inclusive route. I did get out of the resort and explore a bit but it still isn’t the same as being independent. Just over a year ago my partner and I sold everything and started online businesses with the goal of slow traveling full time. 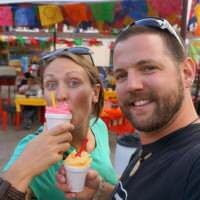 We chose Mexico for our first adventure due to the low cost of living and lovely weather and scenery and spent eight months traveling and living from coast to coast. Wow what an eye opening amazing eight months it was. We fell in love with Mexico…great food, weather, people, sights and scenery all at a reasonable price…what’s not to love? I understand the lure of an all inclusive holiday and I think maybe the negative media about crime in Mexico is another reason people opt for it, However contrary to some reports we found Mexico to be very safe and friendly. We would highly recommend everyone doing exactly as you’ve suggested at least once to see the true and incredible Mexico! Wow, you’ve said it perfectly 🙂 I think there is a lot of negative press around Mexico and we also travelled there for 2 months (independently) and found it to be incredibly safe, and incredibly easy to get around as well. Of course, there are some areas to avoid, but there are dangerous areas in every country in the world I would say. I’m so glad to hear you enjoyed your 8 months there and that you two are location independent, just like us! Good for you. What’s up next? Don't subscribe All Replies to my comments Notify me of followup comments via e-mail. You can also <a href='https://www.creditwalk.ca/comment-subscriptions/?srp=3382&srk=2648578ecea05c83754707575dc5a494&sra=s&srsrc=f'>subscribe</a> without commenting.